Providing a reliable taxi service to Okehampton, Exeter and Devon is our main goal. Here at ATM Taxis we offer a whole host of taxi services options in and around Devon and beyond! Whether it is a short trip down to Okehampton town centre or travelling to Exeter or even Heathrow Airport we are here to help. We provide Airport Transfer to every airport including Exeter Airport, Plymouth Airport, Bristol Airport, Heathrow Airport, Gatwick Airport, Manchester Airport and many more! Want the big day to go without a hitch? ATM Taxis will provide door to door to reception transport for you and your guests! We will provide you a complete bus transfer if you need to get from one stop to the next. If you or your child needs picking up or dropping off at school or college we will make sure you are on time and in safe hands with all our drivers DBS checked. Go away and need to get to Exeter Train Station? We will drop you to the front door even with all your bags of luggage! Fancy a holiday in Portugal, France or Spain? We will drop you to Exeter Airport on time and with every piece of luggage you wish to take in our dedicated minibus. Need to get around whilst on holiday? We are happy to help with every transportation need you have. We work with our local community so if you have an important appointment or need to visit a loved one we will take you there at any hour of the day. In the party mood? We work all days on the week including Friday, Saturday and Sunday! 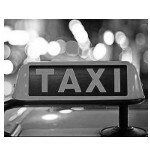 So if you need that comfort of having a lift home on an enjoyable night out we will help. Finally got that interview for that job? We will take you there and wait to get you home. Not going very far? We will transport you even if it's only 2 minutes down the road to the shops. Want to visit family at the other end of the country? We will transport you there and back wherever it is. Have a set number of pickups needed? We will fulfill any contract hires. Have a nanny or are a nanny and need to get to the kids? We will make sure you get there in time so the kids are well looked after. Staying around Okehampton? We are a local service so we can get you to any destination around Okehampton. Need a personal taxi? We are happy to provide the perfect service to you!